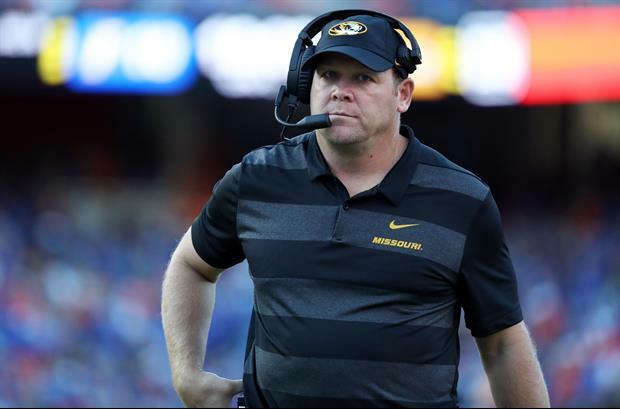 Missouri announced Wednesday night that head coach Barry Odom has received a $600,000 raise and contract extension that keep him in Columbia, MO through the 2024 season. COLUMBIA, Mo. – The University of Missouri Board of Curators has unanimously approved a contract extension for Mizzou Head Football Coach Barry Odom through the 2024 season, as well as a $600,000 increase in his annual salary effective January 1, 2019 and an enhanced incentive package for academic and athletic performance, Mizzou Director of Athletics Jim Sterk announced today. In three seasons on the Mizzou sideline, Odom has improved the Tigers' win total each year, while earning bowl bids in each of the past two. Odom's 2018 team will carry an 8-4 record and a No. 23 (CFP)/No. 24 (Associated Pres) national ranking into its Dec. 31 AutoZone Liberty Bowl match-up against former conference rival Oklahoma State in Memphis, Tenn.
"Barry Odom has done an outstanding job of leading the Mizzou Football program the last three seasons and I'm grateful that we are able to reward that success today," Sterk said. "He is building a championship culture within his program that fosters academic achievement, athletic success and accountability, and I am proud of what he has been able to accomplish during his first three seasons. With this year's success and the South End Zone facility coming on-line next year, I believe Mizzou Football enjoys great momentum heading into the 2019 season and I look forward to working with Coach Odom to build upon that," Sterk said. All because he landed a transfer qb? Didn't Missouri get better each year since Barry Odom became the head coach? That is what going on right now. Missouri is getting back on track to compete in the SEC.